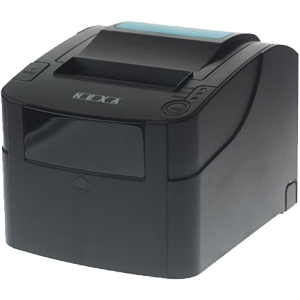 Zebra - Custom - Nexa - Star - Thermal Direct and Transfer Receipt Printers and Supplies. IDCW distributes high quality thermal receipt printers and thermal paper rolls. Improve operational efficiency with consistent with our quality paper rolls. KUBE II is powerful and very fast: it prints with an extraordinary printing quality (203 dpi) on receipts with 80/82.5mm width and has the possibility to orientate characters and graphic in every direction. Prints 1D and 2D barcodes, and is available with ethernet connectivity plus optional wireless adaptor. The TSP143U offers fast, efficient POS service as well as a unique range of ECO tools and features: all with a manufacturer's pre-paid Carbon Offset program at NO extra cost to you. Simple 'Drop In' system for easy printing. 203dpi. Ethernet connectivity available as an optional extra. Easy to use and backed by a huge 2 year warranty, this printer is a great low cost solution with 20% faster print speed (300mm/sec) than the PX-700II. It offers 50% faster printing of text and graphics than the TM-T88IV, 35% more reliability, new ease-of-use features and dual interfaces. In addition, multiple configurations of the TM-T88V meet ENERGY STAR requirements making it the only ENERGY STAR qualified POS thermal receipt printer available today. The new TSC TDP-225 Direct Thermal Label Printer brings TSC's expertise to the 2" desktop market. With inlcuded Bartender Ultralite software and dual USB and Serial Ports make this an excellent entry level desktop label printer. Built with TSC durability and reliability TDP-244 Plus is a highly affordale 4" desktop label printer. It includes Bartender Ultralite software and has a USB Interface. The TTP-244CE Advanced offers all you need in for a complete desktop label printing solution with included Bartender Ultralite software, 4" per second print speed, USB parallel ethernet and serial interfaces and EPL and ZPL emulation. TSC TTP-247 Thermal Transfer 4" Label Printer Serial+Parallel+USB. 300m Ribbon Capacity.